The Three Phase Half Bridge Diode Modules consist of 3 diodeswith2 types of circuit configurations.They are arranged such that the base is non-isolated and can serve as either a Common Anode or Common Cathode Terminal. The modules are constructed with glass passivated chips for high reliability. These modules have high efficiency, compact packaging, high surge current capability &high stability at high temperatures. The Three Phase Half Bridge Diode Modules are mainlyused in DC power supplies & Welding power supplies. 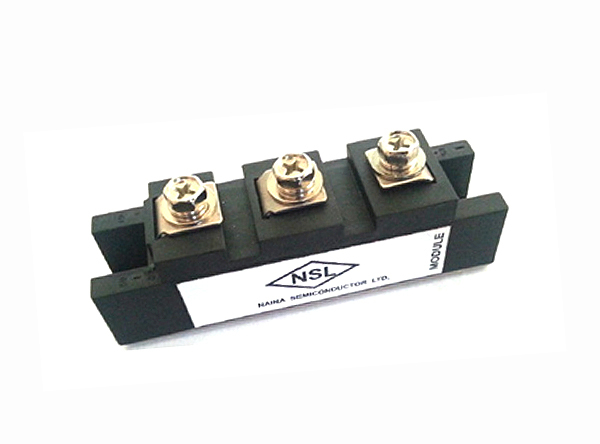 The current range starts from 40A upto 100A, with voltages of 300V & 400V.